When you’ve got big plans for an event, it makes your life more exciting. Going to a sports game, a concert, or even a theme park – you can’t help but count the days down and have something really great to look forward to. One organization wants to make sure Veterans, active military and their families get to feel this joy when their lives tend to be packed with stress. The Veteran Tickets Foundation, aka Vet Tix, was founded in 2008 and has been successfully helping many families have a great night out, or even vacations! The goal of getting those who serve and their families to these events is to “enhance their lives, reduce stress and help them acclimate getting back into the mainstream.” The tickets are provided to the military either from individual donations, contributions from the people who throw the events, or fundraising through the general public. Another organization that provides free event tickets to the military and veterans is the WWE. Veterans and active duty from the Army, Marines, Air Force, Navy, Coast Guard and National Guard can claim a free ticket with their military ID at the box office.You can get more information about these free tickets here: http://www.wwe.com/military/free-military-tickets-26072461. There are some catches – the free ticket is only to the military member, no free passes for any guests, you can’t get a military ticket to Wrestlemania, and it’s only available as supplies last and only on the day of the event. WWE’s media contact Tara Carraro could not be reached for a comment on this policy. Al of Vet Tix enjoys what he does to help our military who have returned home, or are awaiting deployment, as well as their families. An unexpected perk to the job is getting to walk around the events his organization provides tickets to in a Vet Tix shirt, being recognized and getting thanked. 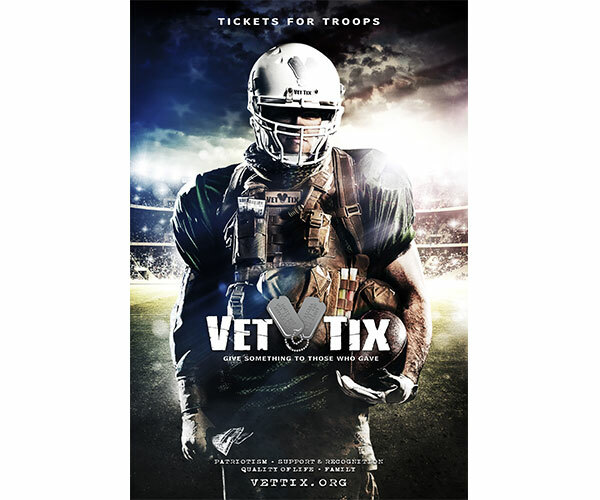 To help donate tickets or fund to this awesome cause, visit https://www.vettix.org/donate_tickets.php. Also check out their Hero’s Wish page, where more costly wishes are posted. Check out wishes they have granted with the help of donations here: http://www.vettix.org/wishesfulfilled.php. Like Vet Tix on Facebook, follow them on Twitter, and check out photos of the military families they have helped on their Instagram. Also, like the WWE on Facebook and follow their account for fans on Twitter. Another benefit to the military is the VA Home Loan. To learn more about it, visit: https://www.vahomeloancenters.org/va-hlc-home-loan-info/. For info on how to apply for a USDA Home Loan, visit: https://www.fedhomeloan.org/usda-home-loan-information-resources/. For info on the FHA Home Loan, visit: https://www.fedhomeloan.org/fha/. Visit https://www.vahomeloancenters.org to use our convenient chat feature, or call us at 1(888)573-4496. Be sure to follow our Twitter account and like us on Facebook.